Yes, USDA WS kills so many animals each year. They want to make an account of my township to kill deer @ $200 – $300/animal. That’s why I call them USDA Wildlife (Dis)Services. Yes, e-caballus and e-lambei are the same. 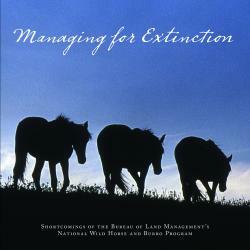 Favorite line is the last: ‘”As a form of wildlife, embedded with wildness, ancient behavioral patterns, and the morphology and biology of a sensitive prey species, they may finally be released from the “livestock‐gone‐loose” appellation.”‘ Least favorite line is that the horse died out in North America. That doesn’t make sense at all since the horse survived in Asia and eastern Europe. There are very few horse bones, because the soil is acidic except in limestone caves. Except southern California for one place and many more. Thanks for posting this Debbie. This was another excellent and very informative show. This is one of the topics that was discussed. There is something called the Public Trust Doctrine. In the U.S., by law, wildlife is considered a public trust resource meaning that all free-ranging wildlife are “owned” by the public and that, therefore, those agencies responsible for wildlife management must make management decisions consistent with the needs and interests of all citizens. Wildlife management responsibilities are undertaken, with limited exceptions, by the individual state wildlife agencies and a handful of federal agencies. Every single day more of our Heritage is removed for our public lands at tax payer expense. 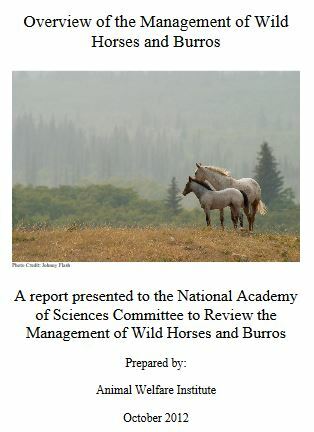 The BLM budget is spent on an Extraction industry to convert our protected FREE ROAMING wildlife species into a commodity for warehousing, sale and euthanasia. Options that are available, and even mandated provide for adding our herds to state fish and game inventories of non game special status species. Funds for Re Wilding are available. Thanks for bringing this to our attention, Kathleen.